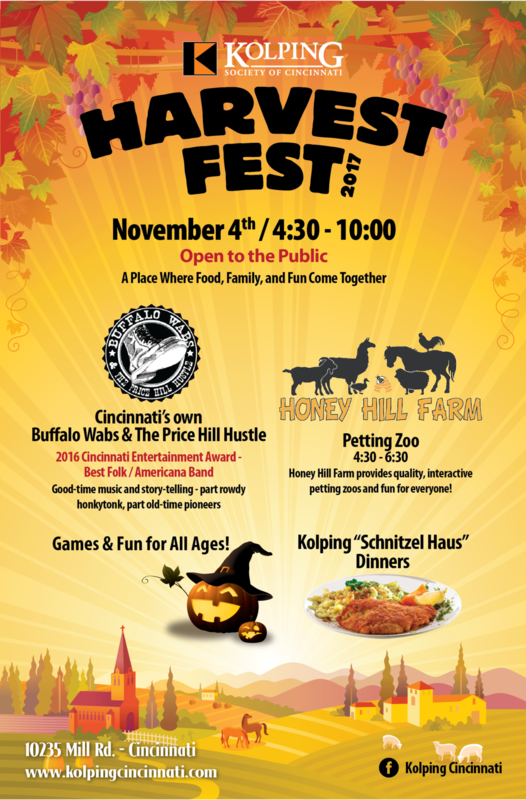 Kolping's Inaugural Harvest Fest is Saturday, November 4 - a place where Food, Family, and Fun Come Together!!! Who's Invited: Anyone - Open to the Public! Games & Fun for All Ages: Our Children’s Area will have a duck pond, ring toss, giant tic-tac-toe, and coloring contest with prizes. Movies will also be played. Our adults will also have fun games and activities available! Our monthly meetings are always the second Saturday of the month, at 11am at Mecklenburg Gardens. Copyright 2017 - Händlmaier’s Freunde Cincinnati e.V.